﻿ Psalm 86:11 Teach me Your way, O LORD; I will walk in Your truth; Unite my heart to fear Your name. 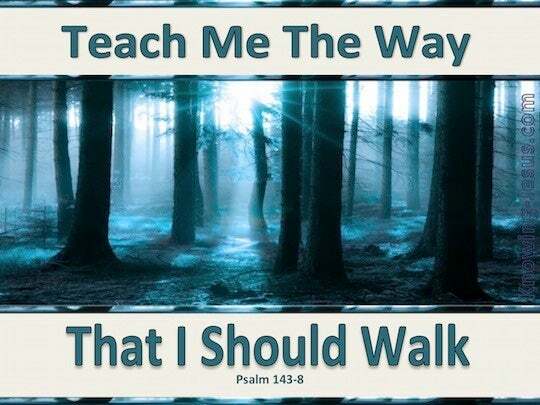 Teach me thy way, O LORD, I will walk in thy truth. Unite my heart to fear thy name. Teach me, O Jehovah, thy way; I will go in thy truth: unite my heart to fear thy name. Teach me, O Yahweh, your way, [that] I may walk in your truth. Unite my heart to fear your name. Teach me Your way, O Jehovah; I will walk in Your truth; my heart rejoices to fear Your name. Lead me in thy way, O LORD, that I may walk in thy truth: O let my heart delight in fearing thy name. Point out to me, O Yahweh, thy way, I will walk steadfastly in thy truth, My heart will rejoice to revere thy Name. 10 For You are great and do wondrous deeds; You alone are God. 11 Teach me Your way, O LORD; I will walk in Your truth; Unite my heart to fear Your name. 12 I will give thanks to You, O Lord my God, with all my heart, And will glorify Your name forever. O Ephraim, what more have I to do with idols? It is I who answer and look after you I am like a luxuriant cypress; From Me comes your fruit.